This is coming to you late (a trip to Cambodia is a valid excuse), but happy lunar new year. Vietnam operates on the Chinese zodiac which assigns each lunar year an animal. 2012 is the year of the dragon and a lucky year to have babies. I was in Ho Chi Minh City on the day before Tết, the Vietnamese Lunar New Year. It’s Vietnam’s biggest holiday during which everyone returns to their hometowns to celebrate with family. 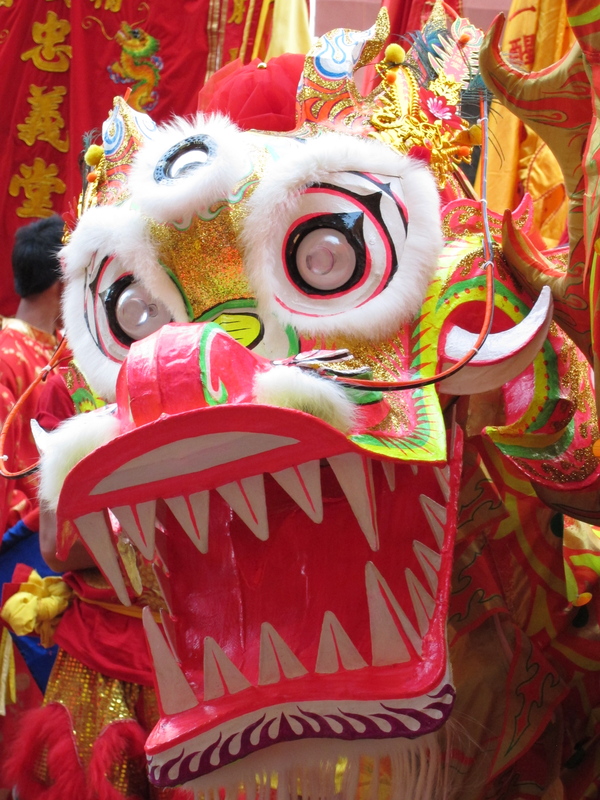 This year, Tết took place on 23 January, a Monday, but throughout HCMC on the Tết eve lion and dragon dances were performed in the street. Once I’ve had a chance to sort through all 700+ photos I took over the past 13 days, I’ll post more related to Tết and HCMC. For now, enjoy the dragon. Disclaimer: I actually saw this specific dragon in Phenom Penh, though I saw the same thing in Ho Chi Minh City.